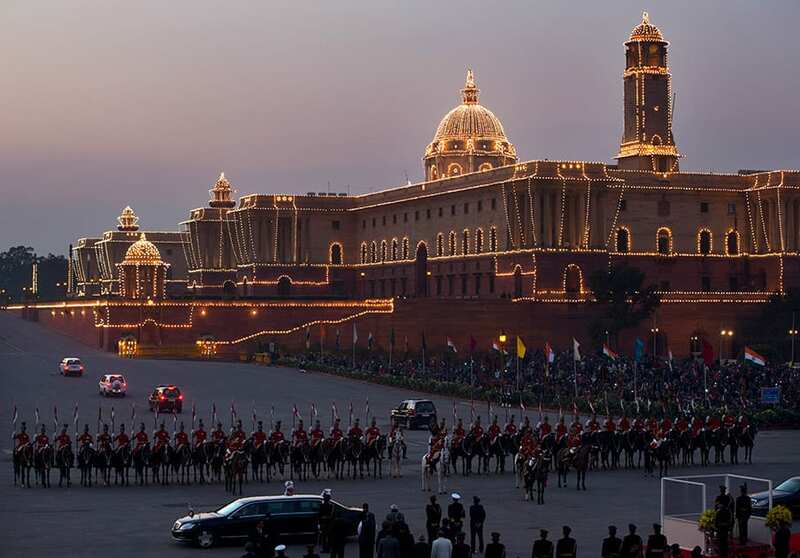 Presidential horse mounted bodyguards stand in a formation as Indian president Pranab Mukherjee, in white box in foreground right, prepares to leave after the Beating Retreat ceremony against illuminated Raisina Hill, which houses India's most important ministries in New Delhi. 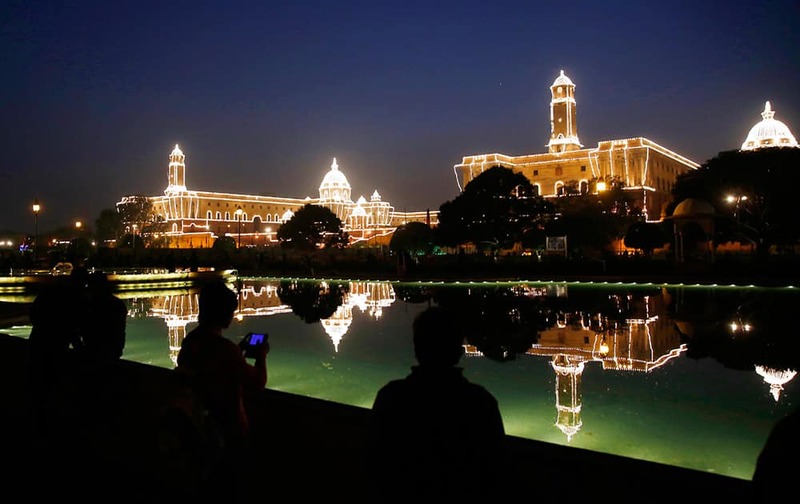 People take photographs and selfies against the illuminated Raisina Hill, which houses India's most important ministries and the presidential palace after Beating Retreat ceremony, in New Delhi. 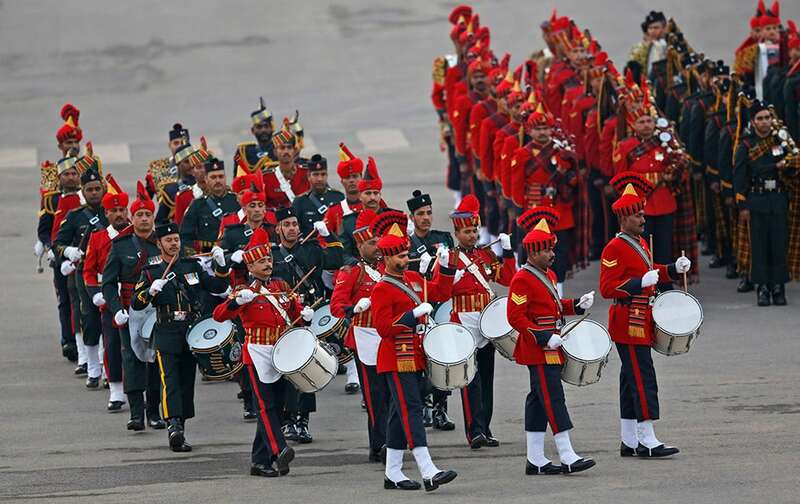 Bands from the three wings of Indian military perform during the Beating Retreat ceremony, in New Delhi. 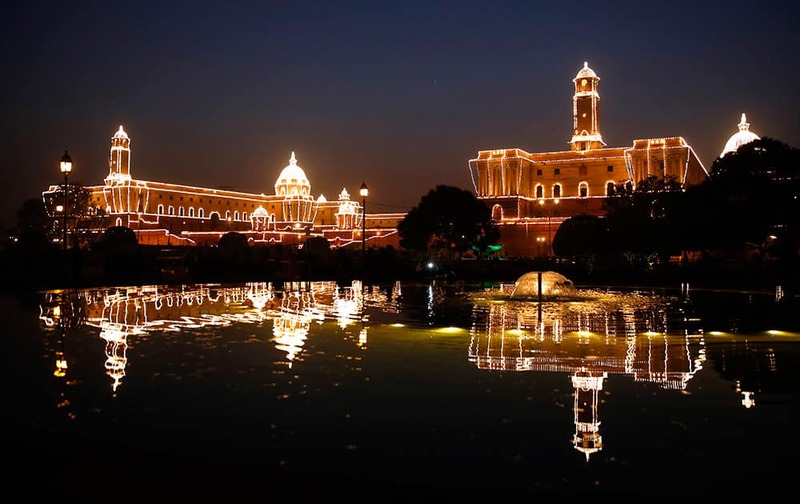 The illuminated Raisina Hill, which houses India's most important ministries and the presidential palace is reflected in a water body after the Beating Retreat ceremony, in New Delhi. 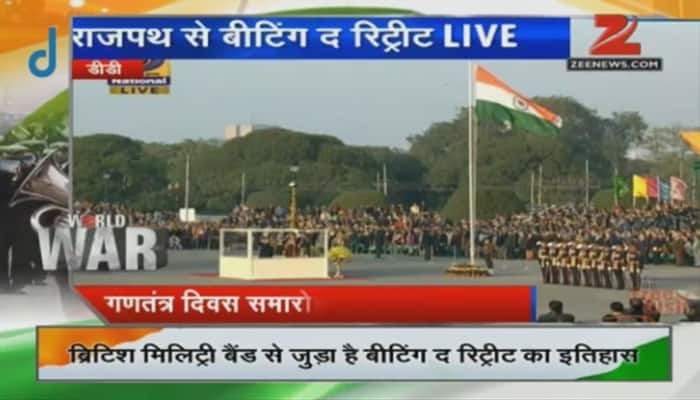 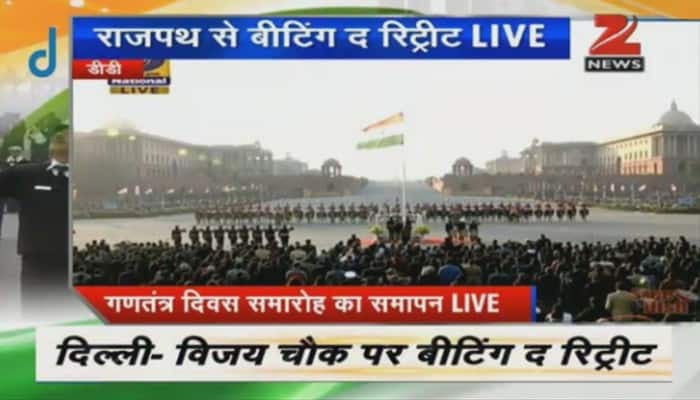 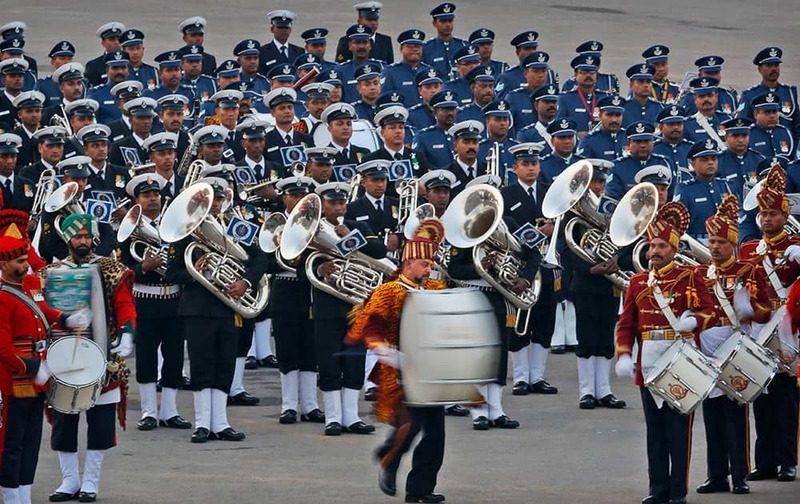 The ceremony performed every year on the evening of January 29 by the three wings of the Indian military marks the end of Republic Day festivities. 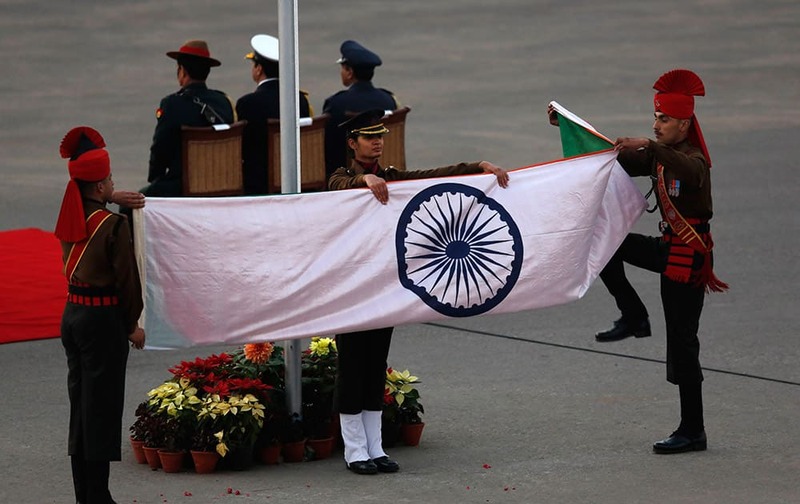 Army soldiers fold the national flag at sunset during the Beating Retreat ceremony, in New Delhi. 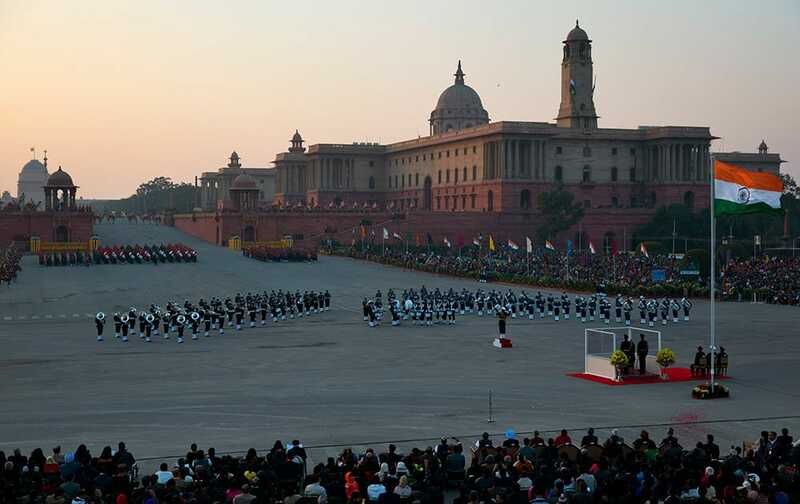 Services bands perform at the Beating Retreat ceremony at Vijay Chowk in New Delhi. 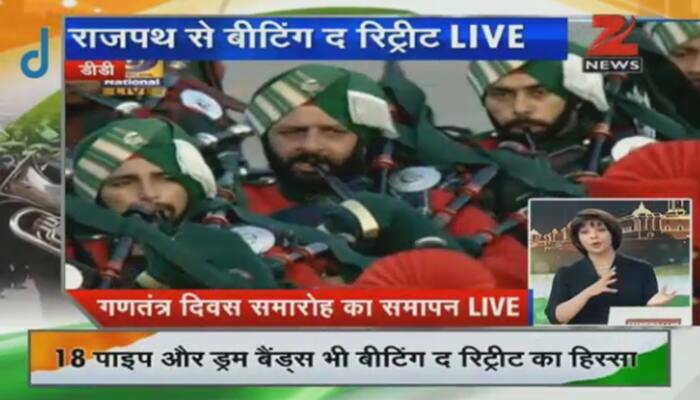 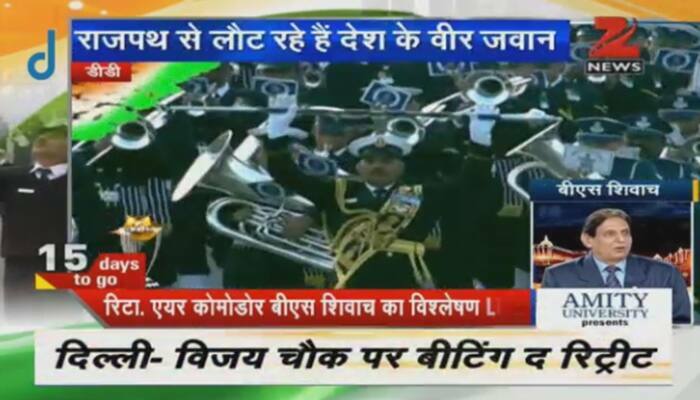 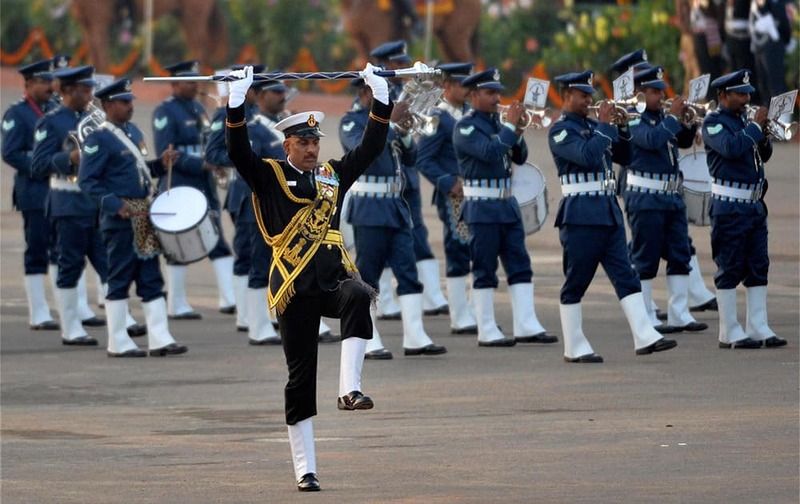 IAF band performs at the Beating Retreat ceremony at Vijay Chowk in New Delhi. 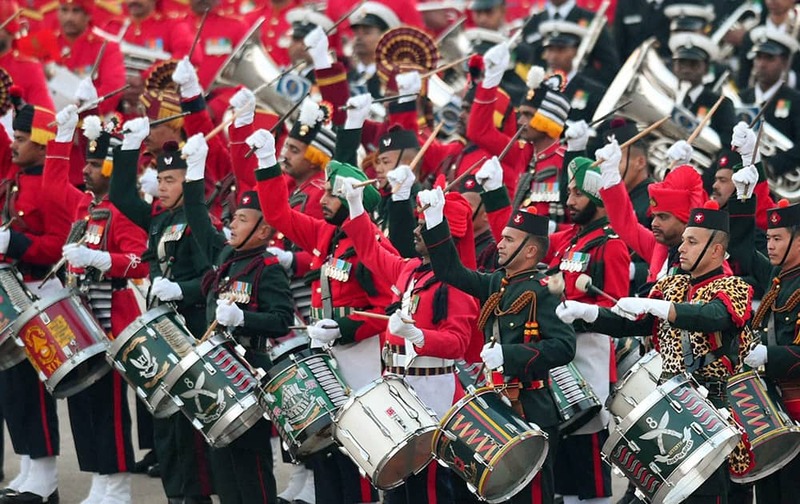 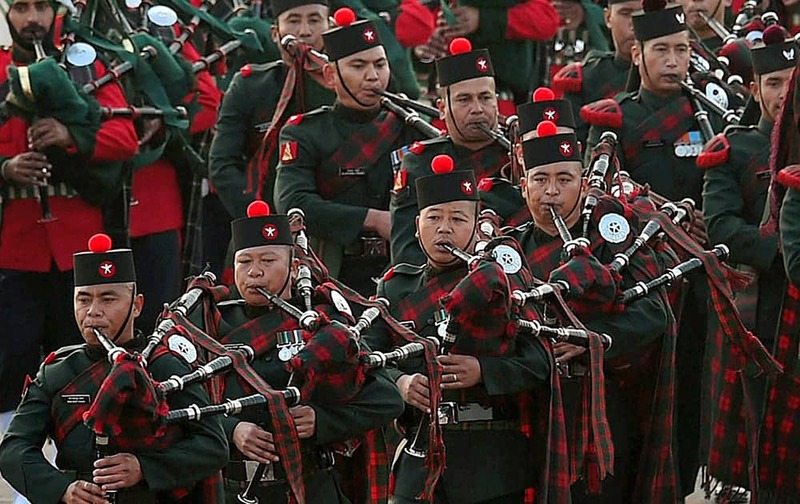 Bandsmen perform at the Beating Retreat ceremony at Vijay Chowk in New Delhi. 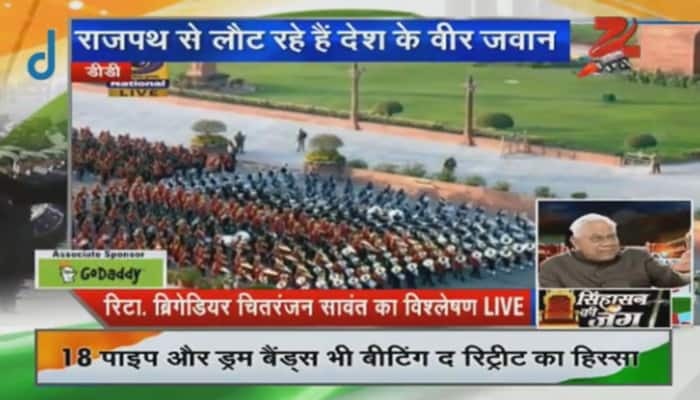 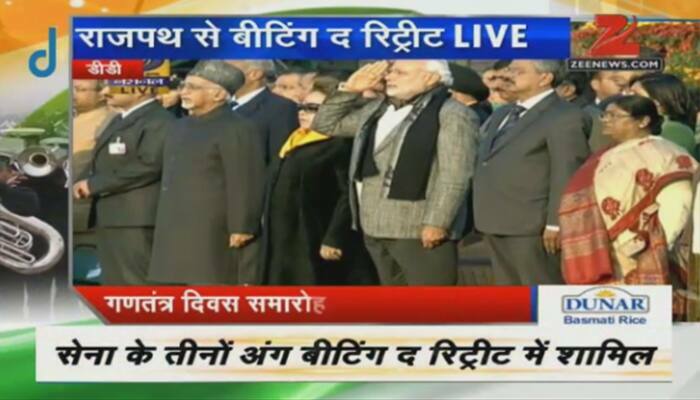 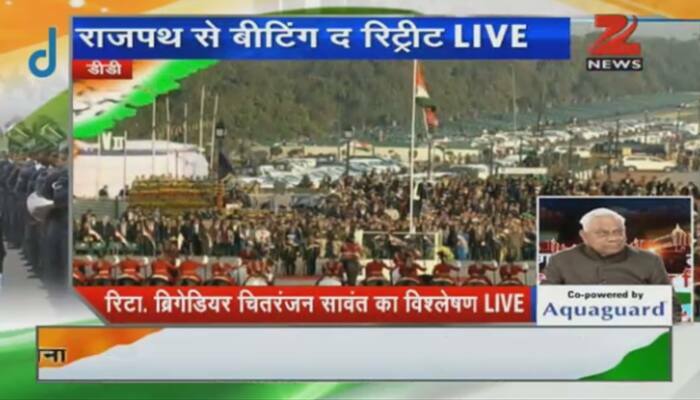 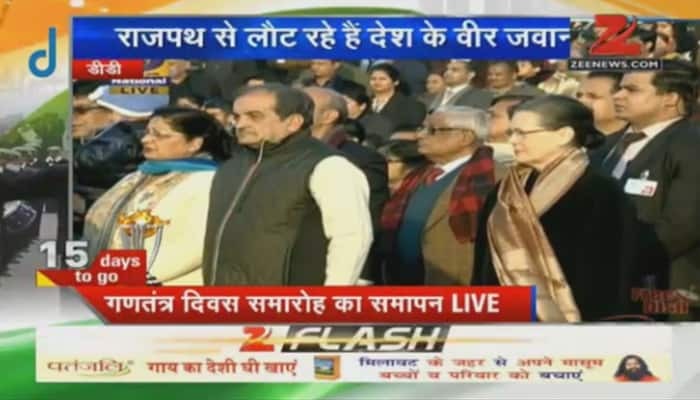 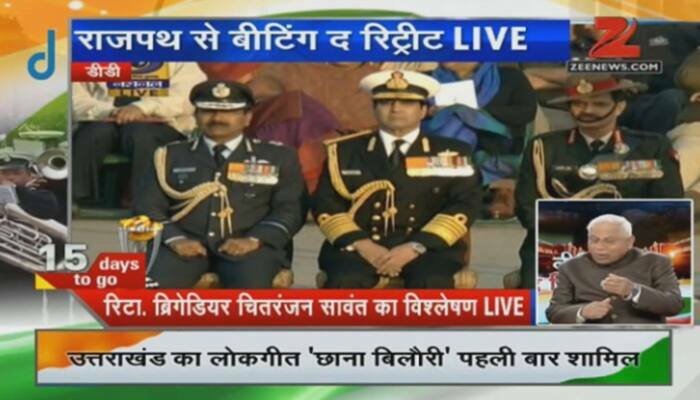 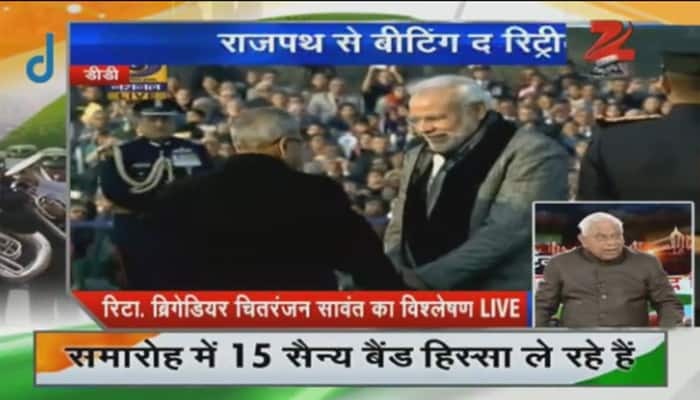 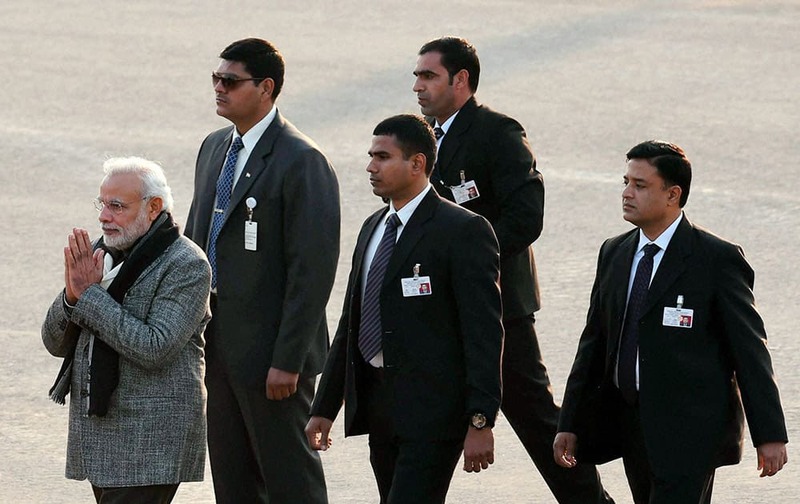 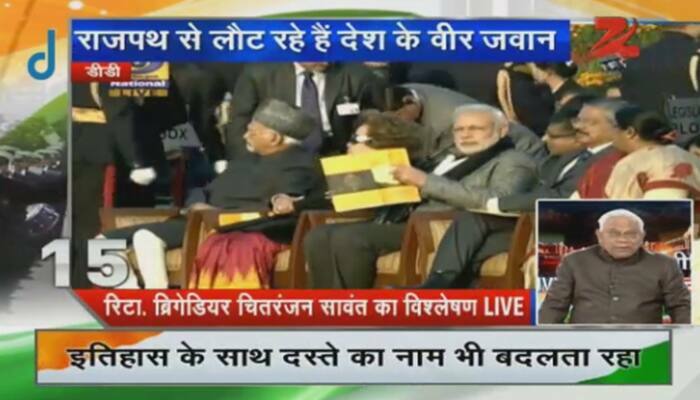 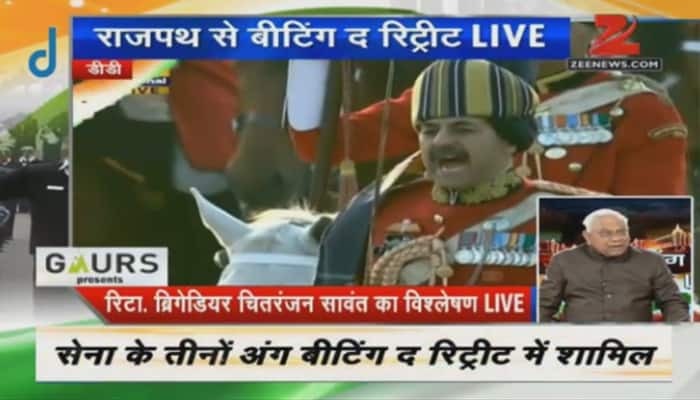 Prime Minister Narendra Modi at the Beating Retreat ceremony at Vijay Chowk in New Delhi. 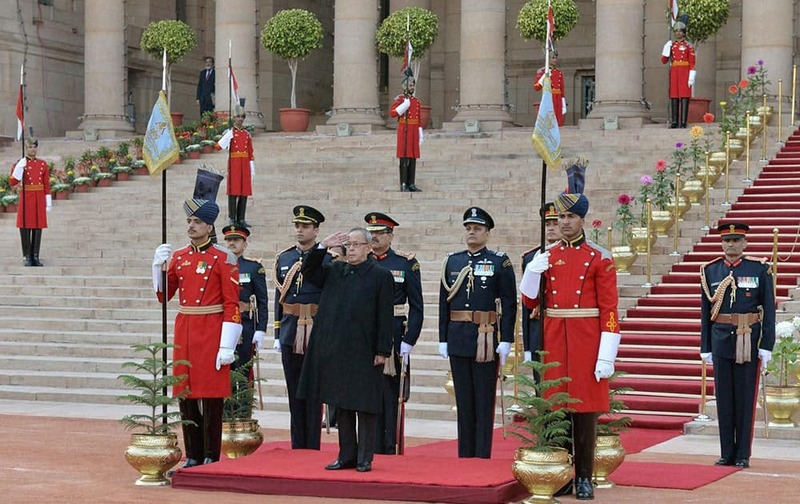 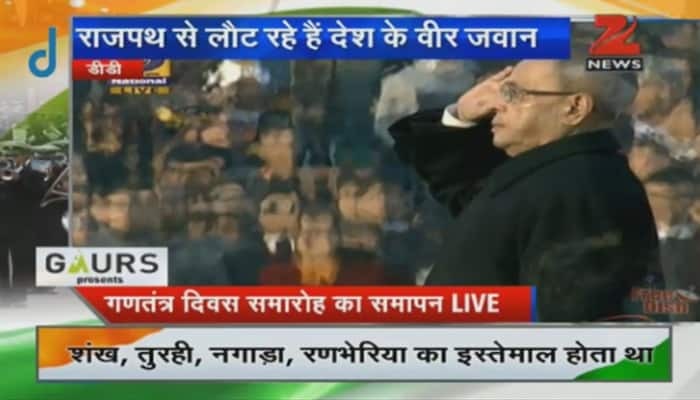 President Pranab Mukherjee before leaving for Beating Retreat ceremony from forecourt of Rashtrapati Bhavan in New Delhi.